Stephen is Good Reason’s principal. He has spent more than 25 years in the travel, software and non-profit sectors as a manager, developer, entrepreneur and pro-bono consultant to charities. After five years in operational and systems management roles with Qantas Holidays, Stephen jointly founded Tourism Technology in 1991. Its Calypso Travel System is now the dominant wholesale travel management system in Australia and New Zealand. Tourism Technology’s clients include Flight Centre, Qantas Holidays, the Stella Group and numerous other household brands. Calypso and its web interface CalypsoNet is used by thousands of travel agents each day and transacts millions of holiday bookings each year with real-time links to airline, hotel, car rental and tour systems. Since 2000, Stephen has been a consultant to Oxfam Australia, ANTaR (Australians for Native Title and Reconciliation), the Diplomacy Training Program (UNSW), SUIHAA (the Sydney University International House Alumni Association), and numerous other not-for-profit organisations. At Oxfam he was instrumental in the early development of Oxfam Trailwalker, building in-house event management systems, on-line registration and donation interfaces, related back-office and finance systems, and a separately branded Oxfam Trailwalker website. Trailwalker now runs in four Australian cities, raising over $7million annually for Oxfam. While with Oxfam, he also built systems for the Oxfam International Youth Parliament and was a frequent adviser on a range of IT and data management issues. After selling his interest in Tourism Technology, Stephen chose to focus his professional efforts entirely in the not-for-profit sector. Good Reason grew out of his desire to provide effective, low-cost system solutions and operational advice to charities and community-based organisations working for the common good. 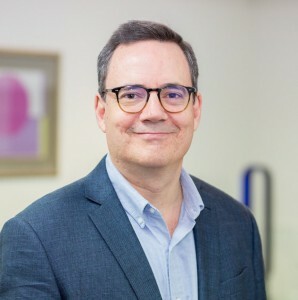 Stephen also manages The Garrett Riggleman Trust, a private ancillary fund (PAF) supporting a wide range of charitable causes, and is on the Board of Good2Give, the leading non-profit provider of workplace giving services in Australia and New Zealand.